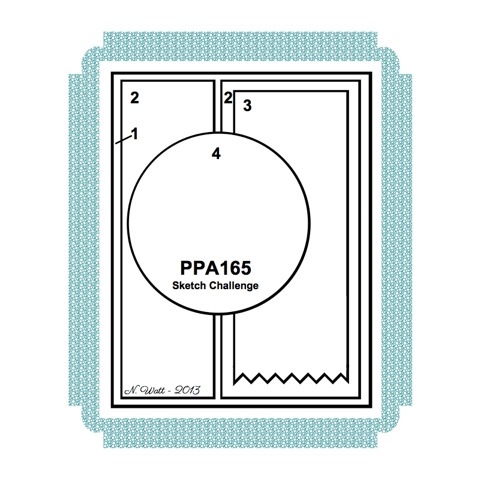 Welcome to the Pals Paper Arts Sketch Challenge! I especially enjoyed the sketch this week because I recently purchased the set of Circles Framelits! Easy peasy when you have a selection of sizes to choose from! I used a Baked Brown Sugar Stampin' Write Marker to color only the words I wanted from the sentiment stamp. The stamp is from Thoughts and Prayers. Some coordinating Baked Brown Sugar prints from the In Color Paper Stack complete this simple card. Those yummy Soft Suede Candy Dots from the Neutrals Collection pack add just the right touch to finish the card. I hope you liked looking and that you will leave your comments below. I will be announcing the Blog Candy winner from Tuesday's post tomorrow, so don't forget to come back then. If you don't want to miss a post, please consider signing up to receive my blog updates here. 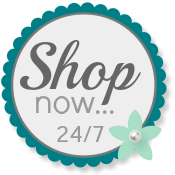 Use my Online Store to order your own Stampin' Up! supplies any time! Perfect card to make the sentiment stand out! Nice color combo too. Very nice Patti!!! I love this clean and simple card!! Absolutely striking with the DSP design!! Fabulous job!! Thank you for supporting PPA Team 2!!! Ooohh, love Baked Brown Sugar. Very smart and classy! Also, it was so nice to meet you at Convention! Hope to see you again next year. I thought this sketch was too cluttered when I first saw it, but LOVE what you did with it! Love this stamp set, Patti! And it's nice to see the circle framelits used so beautifully! Thank you for taking the time to play with Team 2!